I got a download for “sea COW” which echoed in my mind. I decided to do a bit more research, which then led to my decoding and making SYNConnections. Scroll down to 3:14/(Pi) to get a good laugh courtesy of Jim Gaffigan’s “MANATEE” bit. STELLER = INTER(STELLE[A]R) or between the st☆rs. This is symbolic because the now extinct STELLER‘s Sea COW has transitioned from the sea unto the st☆rs. This also rings true because the order SIRENia has the word ‘SIREN‘ in it. 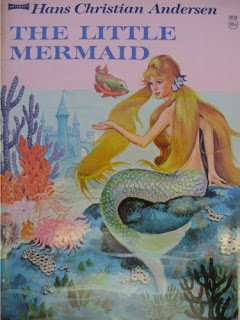 MERMAIDs are also known as SIRENs because they had beautiful SINGing voices. They also helped warn sea mariners of any oncoming sTORms. The COW ties back to TAURus who rules the throat/neck and SINGing. 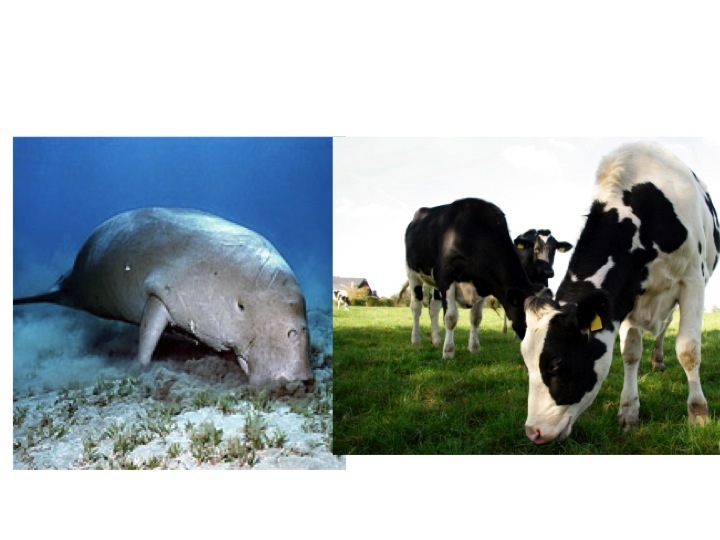 A baby sea COW is called a CALF. 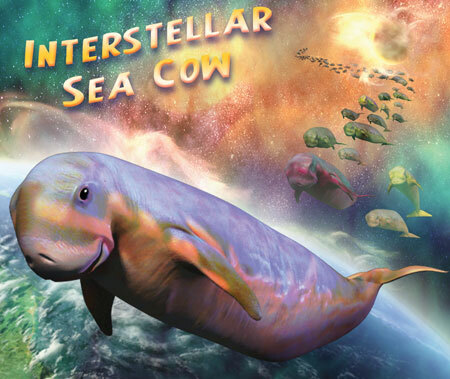 The STELLER‘s sea COW has transitioned from the sea unto the st☆rs, making it interSTELLAR. A baby sea COW or seaCOW is known as a CALF. 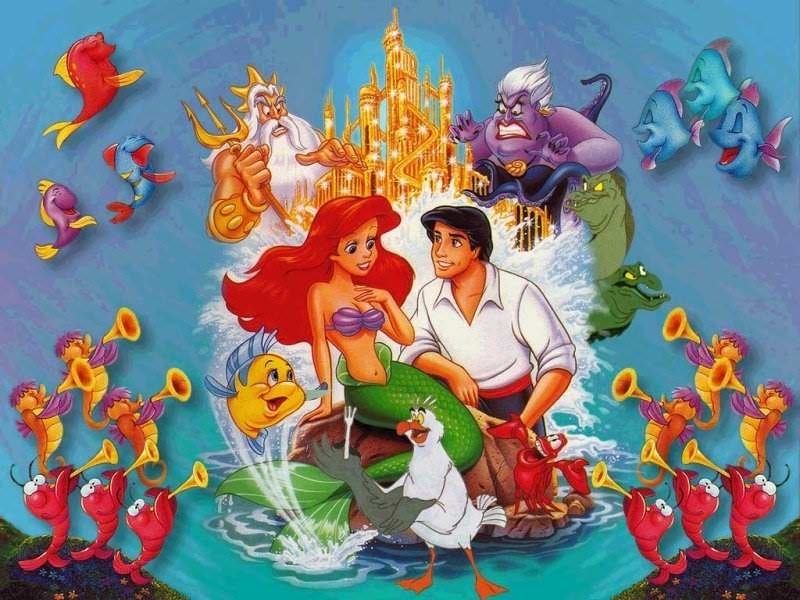 In Hans Christian Andersen’s original version of “The Little MERMAID,” the MERMAID eventually transitions from the sea unto the st☆rs or AIR, hence the name, A(I)Riel given by DISNEY…This syncs/sinks back to the (INTER)STELLER‘s sea COW. Ariel, the main character in DISNEY‘s version of The Little MERMAID, falls in love with Prince Eric/(AIR)ic. 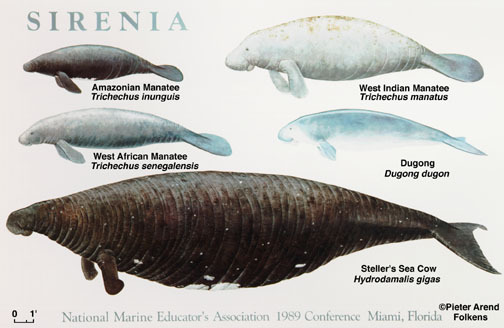 AERIEL means “existing or living in the AIR.” ARIEL wanted to be HUMAN or part of [HU]MANATEE. The Little MERMAID wanted to be a part of [HU]MANATEE! In HCA’s version, she transitions from the sea unto the st☆rs, just like the [INTER]STELLE(A)R‘s sea COW. Her lovely voice sinks/syncs back to Taurus (COW/bull) who rules the neck/throat & SINGing. ARIEL(AERIEL/A(I)Riel) fell in love with Prince Eric/(AIRic) and later they had a baby named MELODY–>♫♩♪♬. The COWs assist with PLOWing. They help fertilize the GRAIN. The ‘DOG‘ON are ancestral, indigenous people of AFRICA. 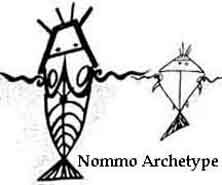 They worship amphibious, HERMAPHRODITIC, fish-like creatures called the NOMMO/NOMMOS. The NOMMOS, as well as the cetaceans, (e.g., WHALES and dolphins), come from SIRIUS B, which is known as “The DOG star.” Turns out the NOMMOS bear some physical resemblance to the DAGON and ME(MU/MOO)rfolk. 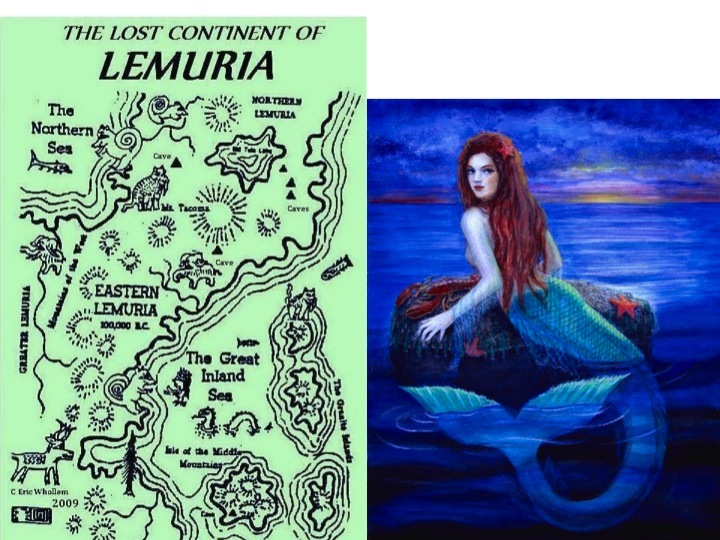 The MERFOLK originated from LeMUria. 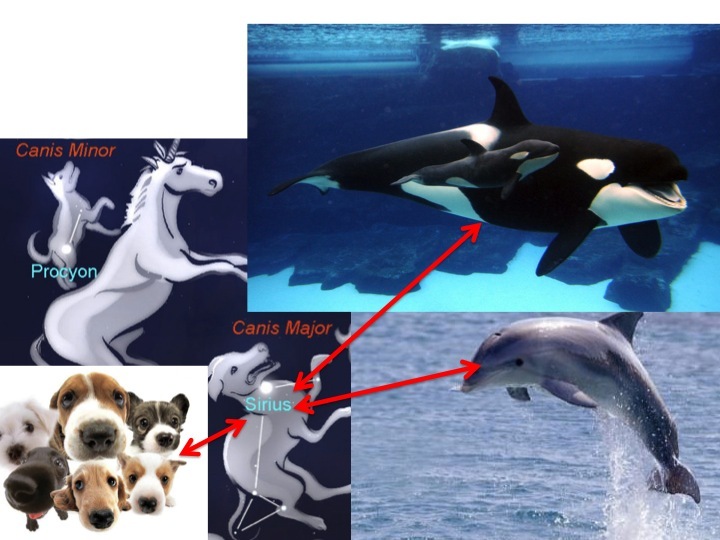 Domesticated DOGs (CANIDAE), (e.g., Canis Major and Canis Minor), also originated from SIRIUS–the st☆rs. SIRIUS = CIRRUS CLOUDS that reside in the AIR. One of the ‘DOG‘ON (= NO GOD backwards) sects create altars for GODs. One imparticular village altar has something called a “CLOUD hook“, that will catch CLOUDS and make it rain. The DOGON of Mali, AFRICA are best known for their mask dances. 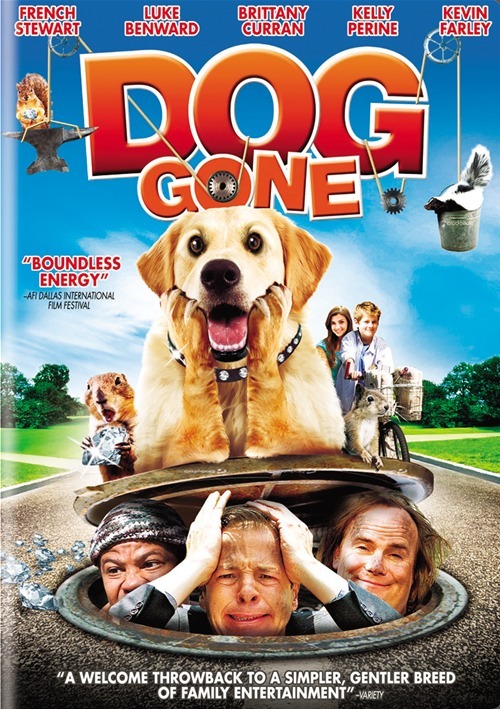 DOG gONe is a 2008 comedy about a K9/(911). “DOGgONe” is a word used to express feelings of annoyance, surprise, or pleasure. 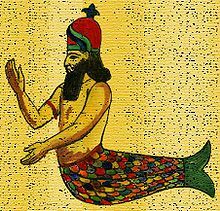 The MEr(MUr/MOOr)folk originated from the lost cities of Atlantis and LeMUria. The cetaceans and canidae on Gaia are Earthly expressions of us. 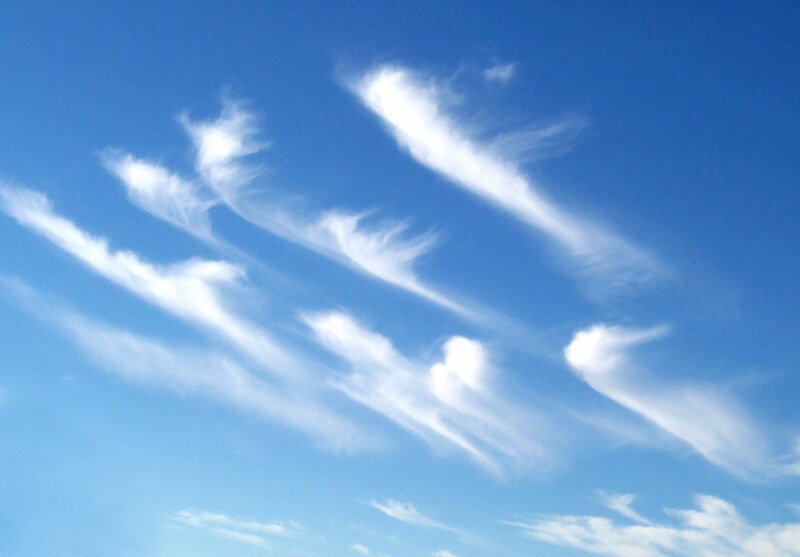 SIRIUS CIRRUS CLOUDS resemBULL sylphs. 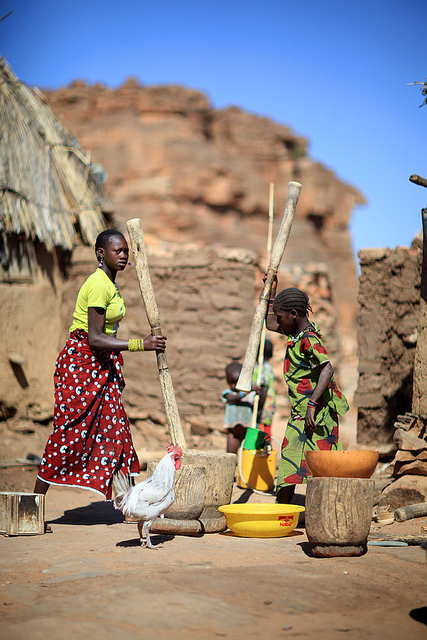 The DOGON are known to cultivate millet, a GRAIN. This ties back to the god, DAGON who was represented by GRAIN and [D]AGriculT[A]URe. In DOGON thought, male and females are thought to be born with both sexual components…This ties back to DAGON who was a HERMAPHRODITIC god, having both male and female organs. This also ties back to the NOMMOS, the gods the DOGON worship, who were also HERMAPHRODITIC. 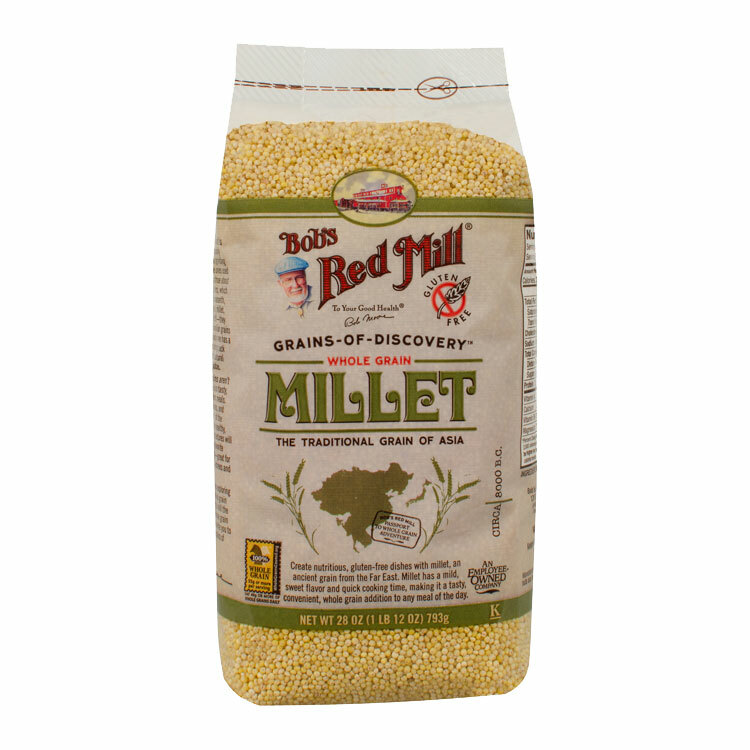 Millet is a whole GRAIN and one the DOGON people cultivate. NOMMO = NEMO, the fish/PHIsh sinking/syncing us back to DISNEY. NEMO = a scRAM-BULLed OMEN. An OMEN is a phenomenon that is believed to foretell the FUTURE. DOGON legend has it that the NOMMO/S will return in the FUTURE to revisit the Earth in human form. The ‘DOG‘ON look to the NOMMO from SIRIUS to help them predict FUTURE events. 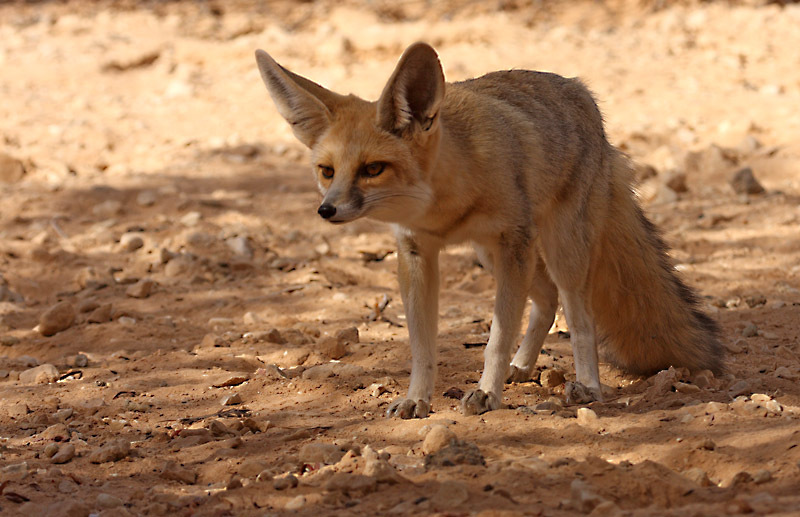 The DOGon also believe the FOX has supernatural powers. The FOX is part of the CANIDAE family, same as the DOG. The diviner would scry FOX prints in the sand to foretell/predict FUTURE events and outcomes. This syncs/sinks us back to a group of cetaceans called the ORCAS, or WHALES, who are the ORACLES of the sea. An [R]ORACLE is one who can predict FUTURE events and outcomes. DISNEY‘s “Finding NEMO.” NEMO = OMEN = NOMMO–>NM = Pi/3.14. NEMO represents Ju[Pi]ter because he is str[iP]ed and a CLOWNfish–>CLOWN = joker. 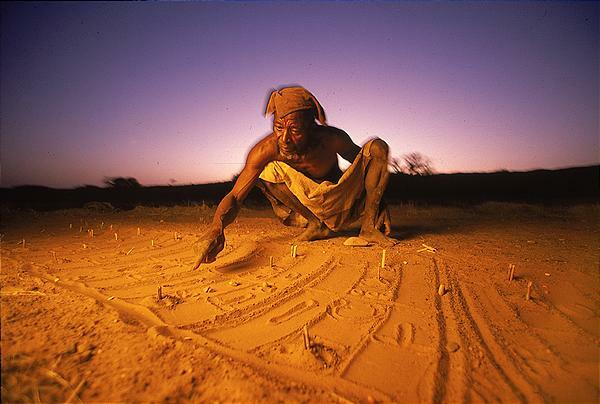 DOGON ELders scry fox prints in the sand to foretell the FUTURE. What does the FOX say? He speaks telepathically through his footprints. 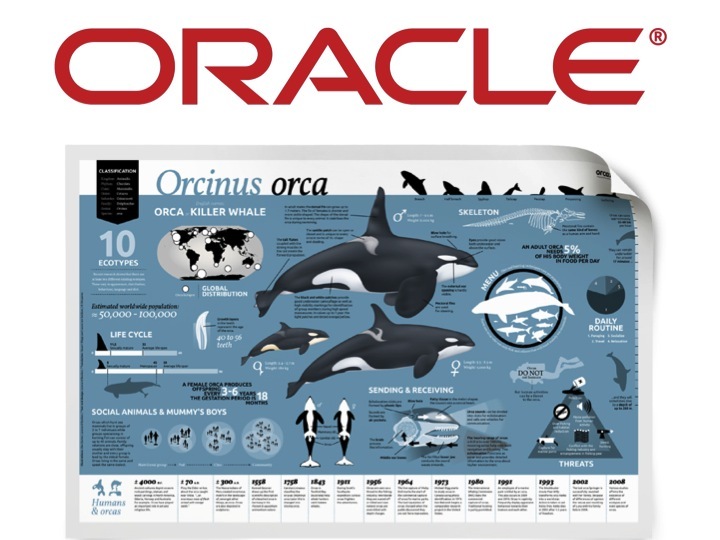 The ORCA is the OR[A]C[LE]A of the sea. 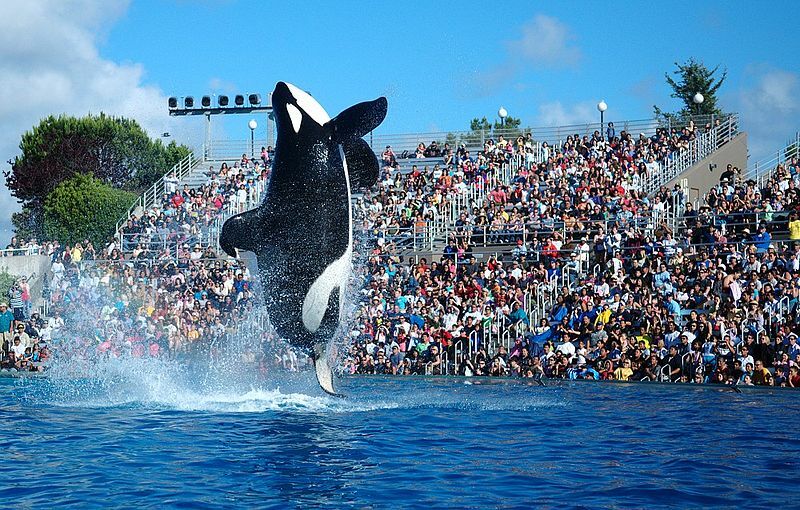 SeaWorld’s ShaMU(MOO) show. The ORCA share the same colors as the MOO (MU) COW–black and white. If given the opportunity, please check out the amazing documentary Blackfish. The film focuses on Tilikum, a killer whale held in captivity by SeaWorld. Below is the trailer. “Sea COW” (seekoei) is also the name for a HIPpoPOTaMUs in AFRIKAans. The DOGONs originate from AFRICA. 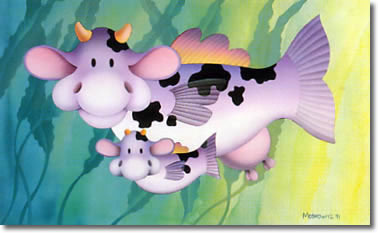 HIP=PHI; iP=Pi; POT=PAN and MUs=MOOs like the COW. 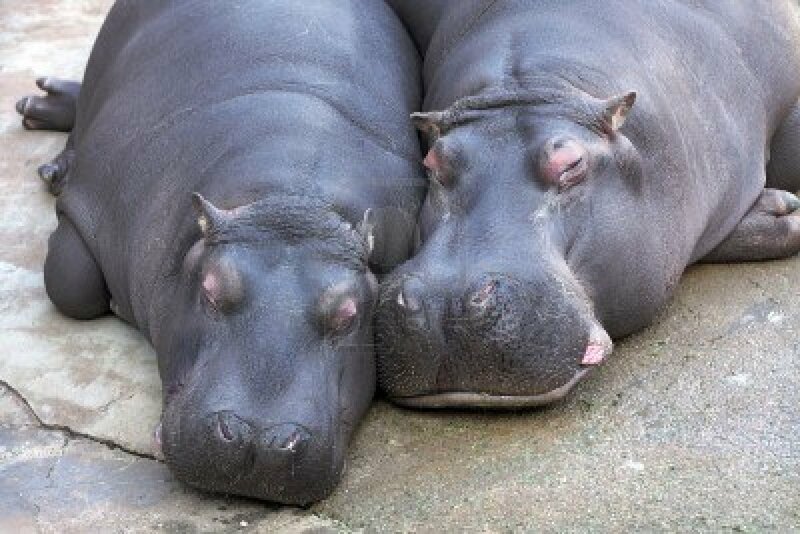 Hippopotamus’s closest living relative is the WHALE. In AFRICA, the hiPpo is known by various names, including “seekoei.” It looks like a cross between a sea COW/MANATEE, Pi.g, and rhinoceros. From the sea, unto the land and the st☆rs…everything IS connected! Thanks for reading! If you IN-JOYed this post, please share it unto your favorite social media portal. Who’s the BOSs? : Even MO[O]re Taurus codes! This post is dedicated to the sacred BULL in the heavens, as well as the popular creature ROAMing the pasT[A]URes (the COW), a.k.a. — TAURus, who is the BOS. 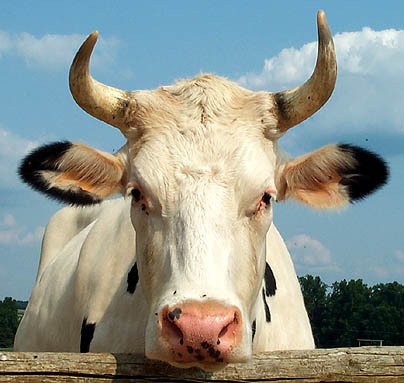 BOS TAURUS refers to “domestic cattle” found throughout the world. BOS refers to the genus of wild and domestic CATTLE. BOS = BOSs who is the one in CHARGE. BULLS CHARGE! We have a BOSs at the workplace who MAY be a real BULLy. When we get sick of our BOS, we go on a VACATIoN (VACA+TIN) to get away from the BULLSh*t/B(O)S. VACA = COW in sPANish. TIN = Ju.Pi.TAUR‘s metal. While on vacation, we spend MO[O]ney and CHARGE our credit cards. The BOSs is the one in CHARGE. We go on VACAtion to get away from our BOSs. Some MAY travel to sPAiN to see the running of the BULLs. Traveling refers to TOuR/TAURism and we become TOuR/TAURists. Another event one may attend in Spain are the BULLfights. The maTadOR says “OLÉ,” which is an expression of joy in Spanish. OLE in ENG/(ANG)lish means “OLD.” Isn’t it ironic that the skin-care line, OLAY promotes YOUNG, radiant SKIN (SYNC)??!! 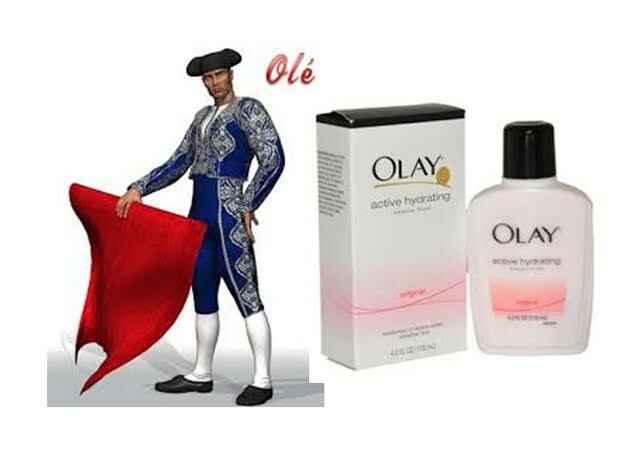 OLAY is a BRAND by ProcTer(AUR) & GamB(UL)Le. 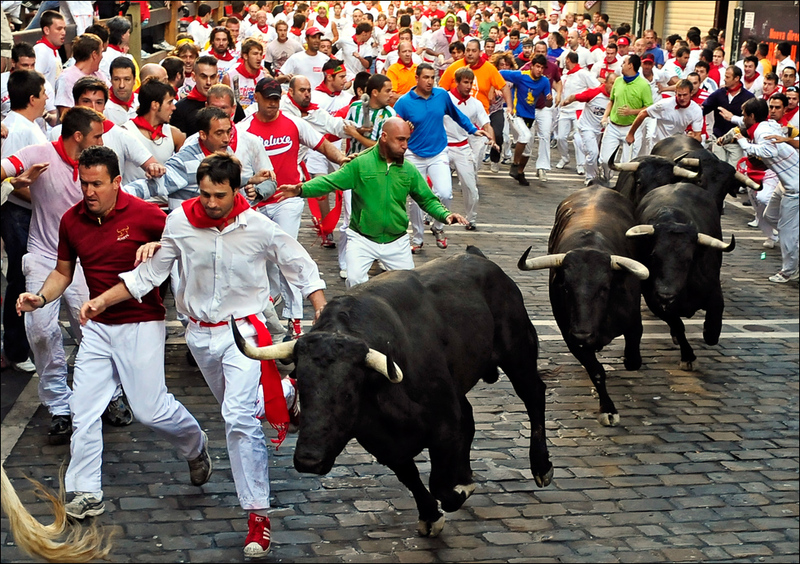 The “Running of the Bulls” takes place in Pamplona, Spain. OLÉ is a scRAM-BULLed LEO. 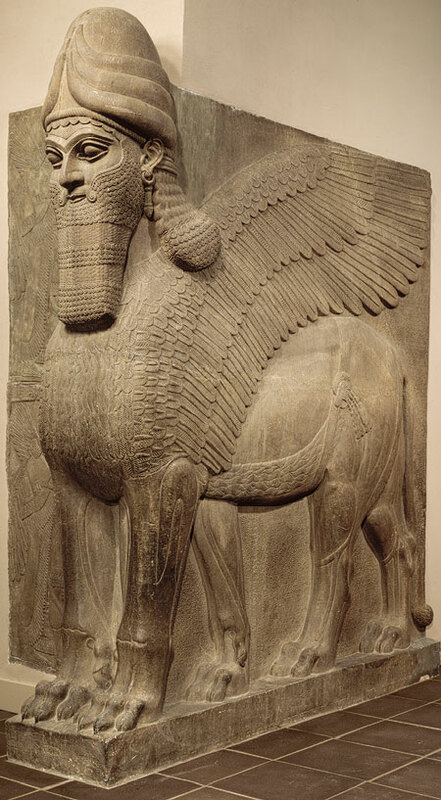 This syncs up with the Shedu or Lamassu which was an Assyrian protective deity portrayed by the body of a LION or a BULL. 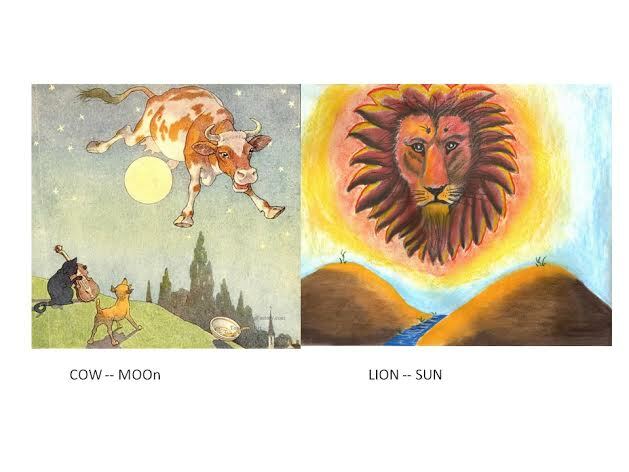 The BULL/COW is represented by the MOOn while the LION (LEO) is represented by the SUN. Neighboring sPAiN is ROME (ROAM), Italy where the VATICAN is located. What do COWs do? They ROAM pasT[A]URes. 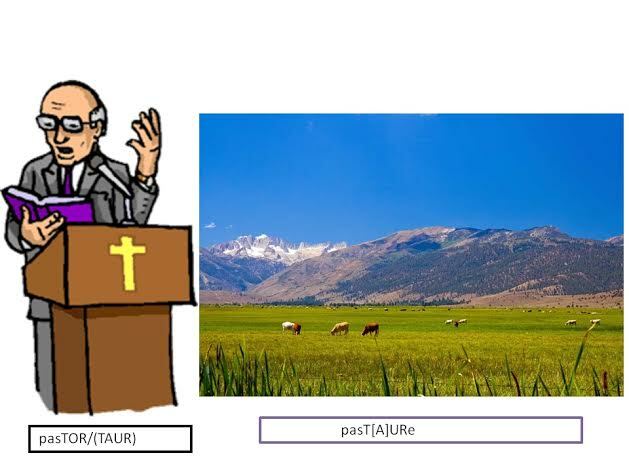 Pasture = pasTOR/(TAUR). Just like the Pope is head of the Vatican, the pasTOR/(TAUR) leads the serMO(O)n in church. 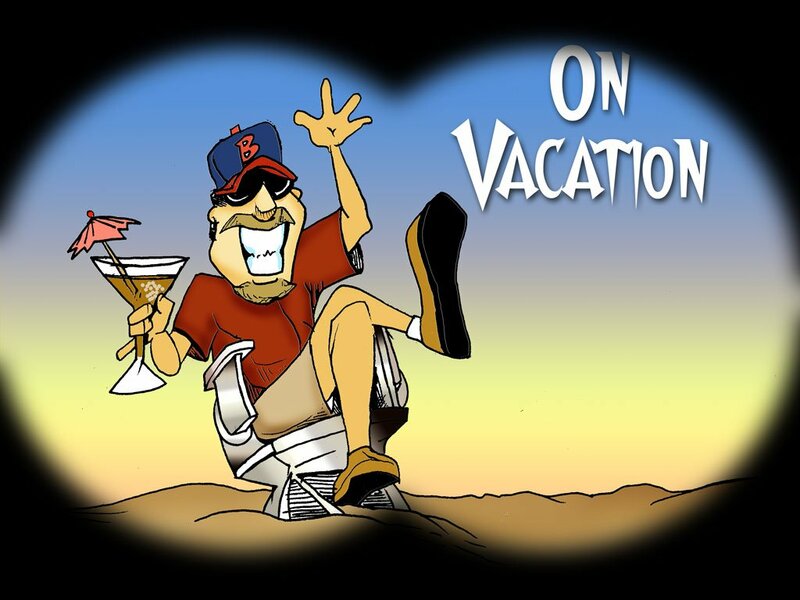 Some people go to the VA[TI]CA[N] on VACA[TI]o[N], which is another scRAM-BULLed VACA+TIN. 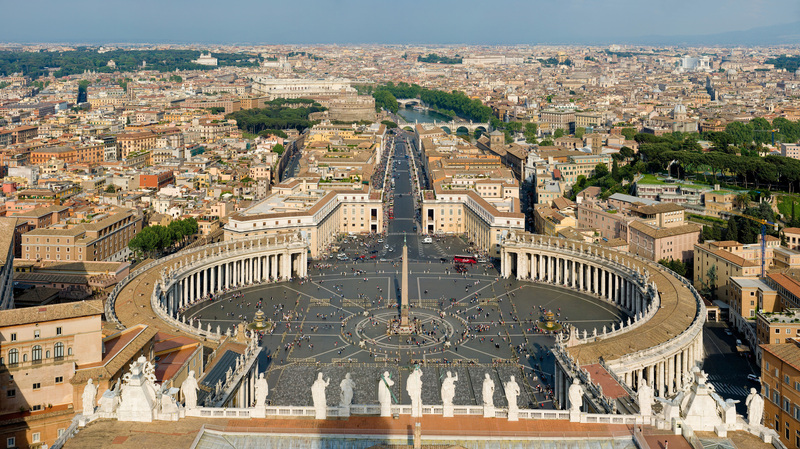 St. P[i]eTe[AU]R‘s Square<–(a b-OX) is located in Vatican City, Rome, Italy. 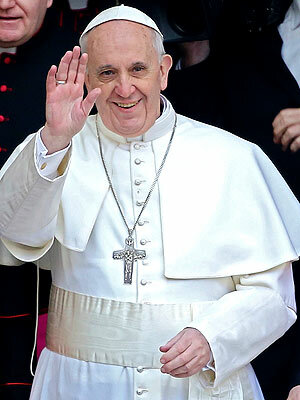 Pope FrAN[KH]cis is to the VATICAN as the pasTOR/(TAUR) is to the church. BOSTON = BOS+TIN. 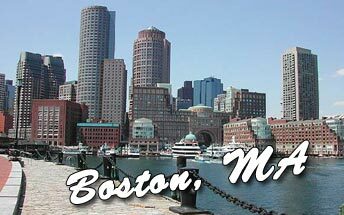 Boston is located in New ENG(ANG)land, MAssachusetts. MA is the abbreviation for MAssachusetts which is (I) AM backW(O)ARDs, as well as MAMA. MAMA refers to mother EARTH(HEART) tying us right back to the BULL who represents our MAMA Gaia. BOSTON = BOS + TIN. (I) AM the BOSs! 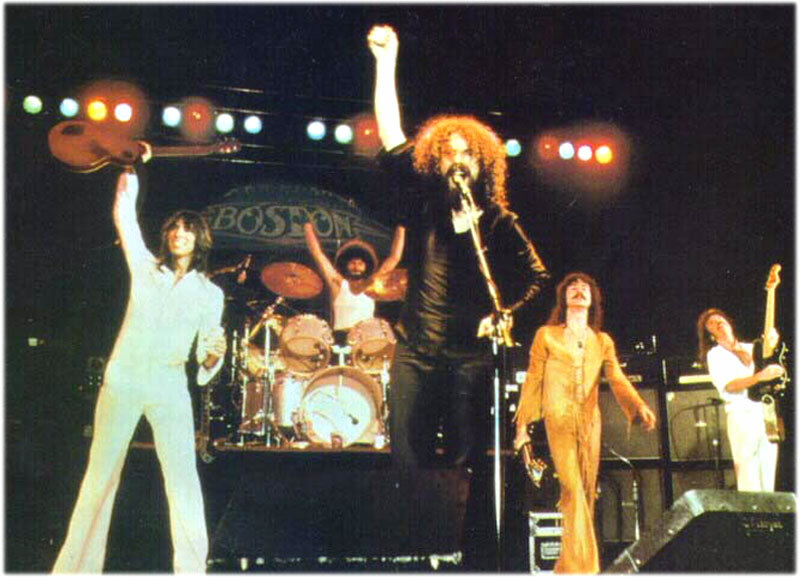 BOSTON was also a popular band back in the late 70’s and 80’s. They originated from BOSton, Massachusetts. 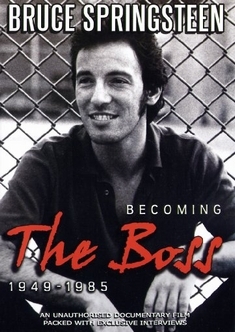 B(Sp)ruce SPRINGsteen, another MUsician, was called “The BOSs” as a nickname. SPRINGsteen is originally from Long BRANCH, New JERSEY. A JERSEY is a type of COW/BULL. The SPRUCE (tree) has BRANCHes. SPRING takes place in MAY and when the sign of TAURus is in effect. MU/(MOO)sician, Bruce SPRINGsteen a.k.a. “The BOSs” is from New (COW) JERSEY. Kelis had a song titled “BOSsy.” In the lyrics she mentions, “I’m the chick that’s raised the STAKE (STEAK).” In the chorus she recites, “DiaMO(O)nds on my NECK, di-diamonds on my GRILL.” STEAK comes from COWs and it is cooked on the GRILL. The NECK and diaMO(O)nds relate back to TAURus. but I have to CHARGE.” TAURus is a natural-born TEACHER because the sign is very patient. CHARGing is what the BULL does best! 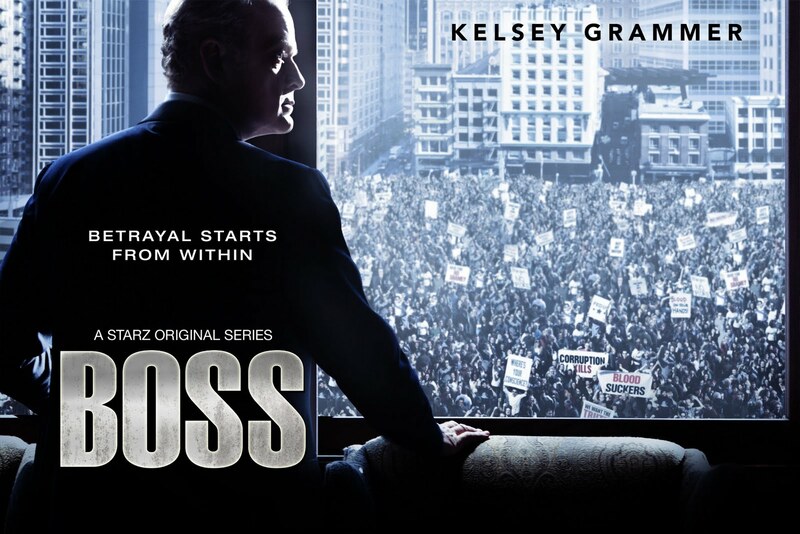 Then we have Hugo BOSs, who I most recently mentioned here…Hugo BOSs is a famous name-BRAND designer. A BRAND is also known as a LABEL. LA–BEL[L] = (LA)<–>EL BELL, BULL BULL, BULL BELL, BULL EL, as well as other scRAM-BULLed combinations. The COW wears the BELL and the BELL is the BULL. It’s pretty easy to see how the two (BULL and COW) are conNECKted. The BULL represents mascuLINE/(LION) energy, while the COW represents FEmiNINE energy. 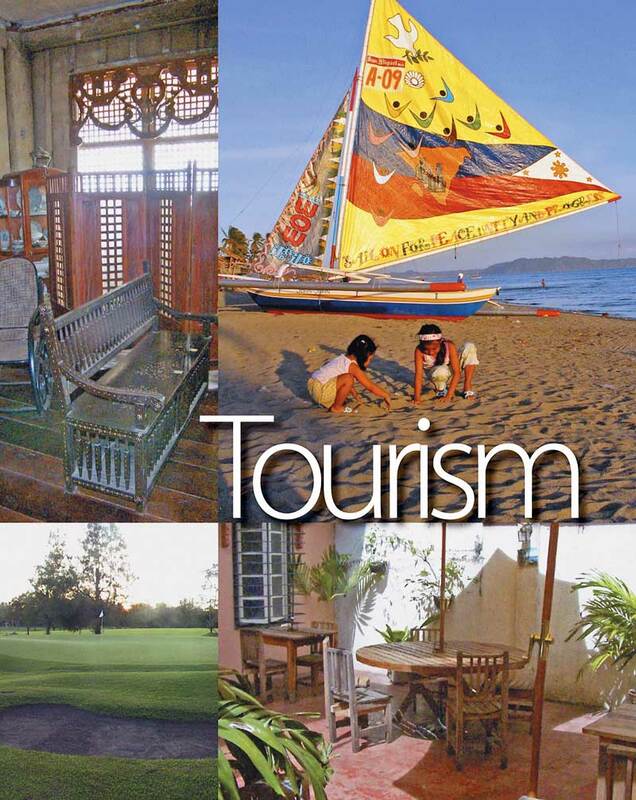 Some people may travel to MO(O)sCOW, RU(E)ssia. RUE/ROU means RED, thus we have the RED BULL from Moscow, Russia. Please enjoy the video below from the latest Just Dance 2014 video game, titled “Moskau.” The background setting takes place in RED SQUARE<–(b-OX) at Saint BAS/(BES/BOS)il’s CATHedrAL/(EL). A CATHeter is said to drain blood which is RED. 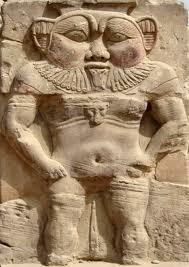 BES was an ancient Egyptian deity worshipped as a protecTOR/TAUR of HOUSEholds and in particular, pregnant MO(O)THERs, CHILDREN and CHILDBIRTH. BES ties into BESsie, the COW. 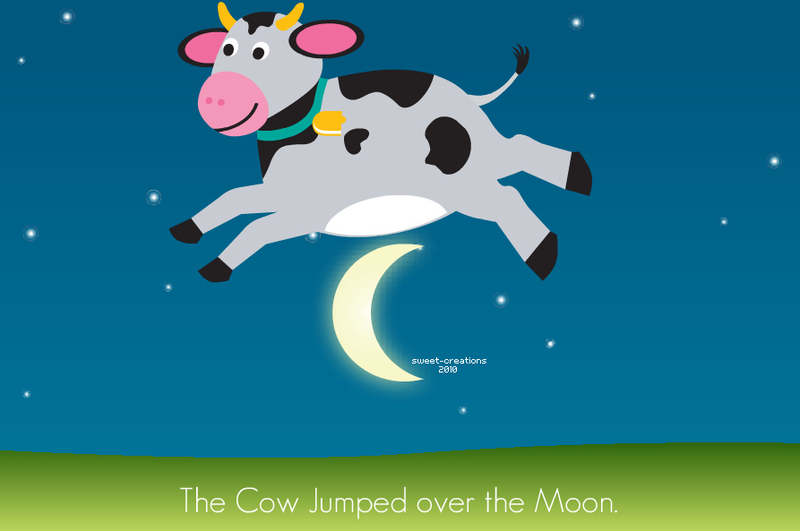 The COW jumps over the MOOn. When we think of the MOOn, CANCER (sea+ankh+sir) comes to mind, because the astrological sign is ruled by the MOOn. It is the sign associated with the HOME or HOUSEhold. When the COW is jumping over the MOOn, her udders (BREASTS) and STOMACH are showing. 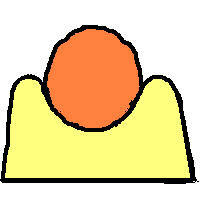 The sign CANCER rules the STOMACH and BREASTS because it relates back to MO(O)THER/(THOR) and CHILD/CHILDBIRTH. BES = a scRAM-BULLEd BOS. BES was also a protecTAUR against snake and SCOR[Pi]On bites. Taurus’s polar opposite in the zodiac is SCOR[Pi]O. The COW‘s horns represent the MOOn in its CRESCENT phase. Going back to the church, “God (B)l(ESS)” is a popular saying. BLESS = BES[S] = BOS. 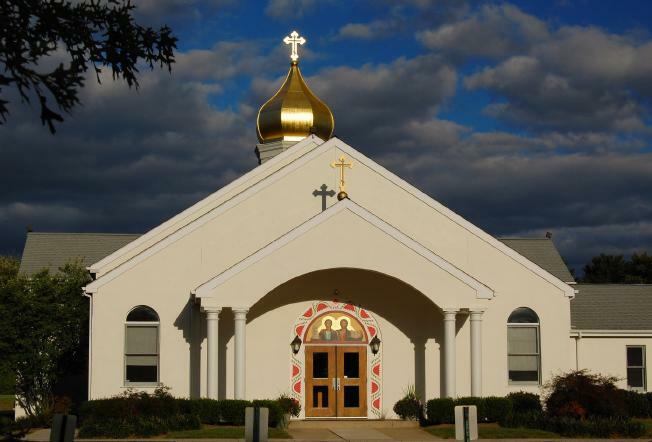 By going to church, we are known to be HOLY. CHI-se derives from the sacred COW. A type of HOLE-y CHI-se is Swiss. 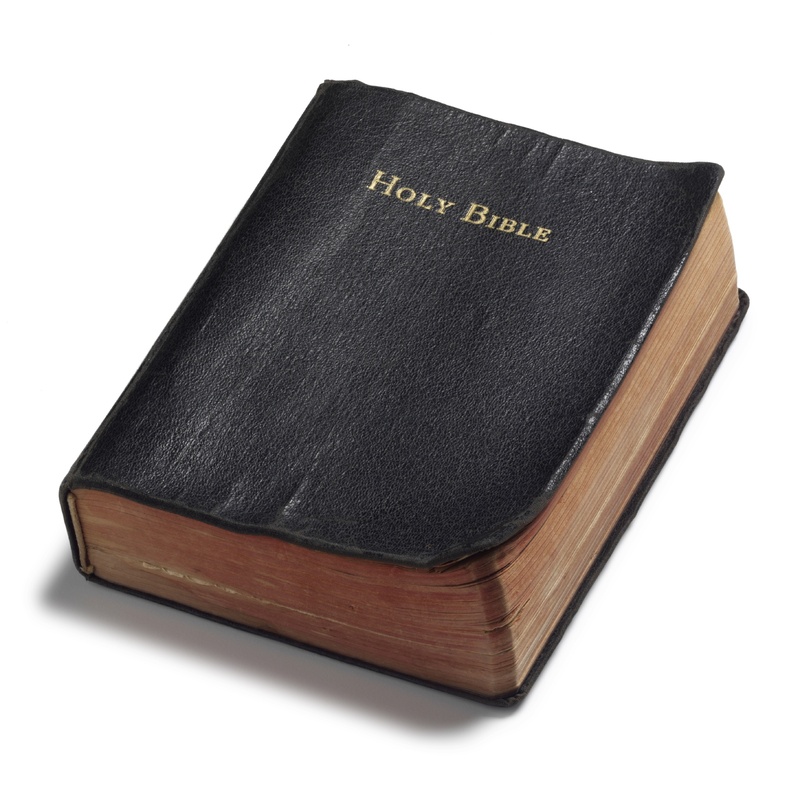 A popular saying is “HOLY COW!” The bible/(Pi–BULL) is the sacred book associated with ChRIStiANiTy. ChRIStiANiTy = CRESCENT, tying us back to one of the many phases of the MOOn as well as the ancient Fertile CRESCENT. 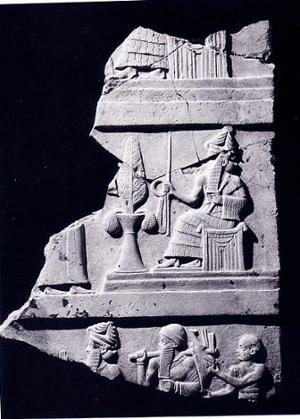 UR is the Sumerian city-state in ancient Mesopotamia. CHURCH–> CH + UR + CH OR 11UR11 –> 11+11=22 and there are 22 letters in the Hebrew alphabet. BlESS = BESSie the COW = BES, the protecTOR/(TAUR) of homes = BOS, the genus of CATTLE. 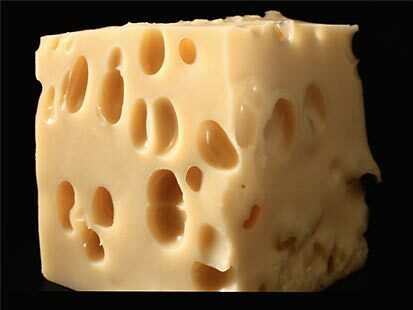 Swiss cheese comes from the HOLY COW. The holy Pi–BULL or bi–BULL. There are two<-(bi)bulls–the BULL that resides up above, and the COW that resides in the pasT[A]URe down below. 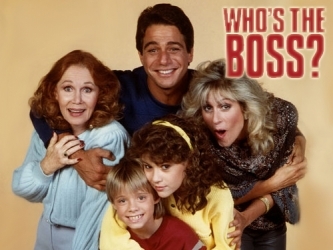 Who’s the BOSs was a popular 80’s television show that starred (T)ony (D)ANza (DNA-ZOO) (TD=24/Ju.Pi.TAUR). The setting took place in Connecticut–>conNEC[K]t-I–CUT. He played the role of the divine FEmi9 (COW) and the sacRED mascuLINE/(LION)—>(BULL) (mer)MAID cleaning up after others as well as protecting the HOUSEHOLD just like BES. He was born April 21st, when the astrological sign of TAURUS starts. 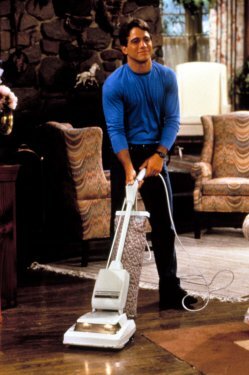 Tony Danza’s characTAUR was always VACUUMing –> VAC[A]+MU/(MOO)ing. “Tony Micelli” was always VAC[A]uUM/(MU/MOO)ing! 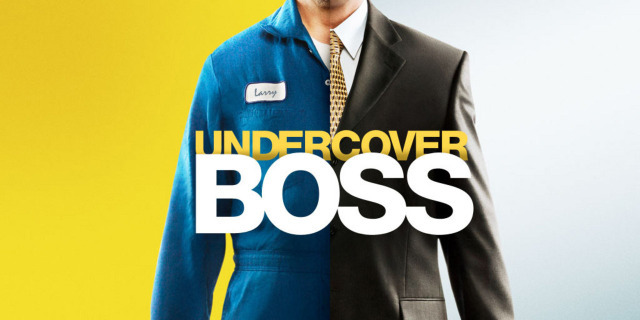 There were a couple other television shows that incorporated BOSs into their title, such as “BOSs” and “Undercover BOSs.” BOSs starred K-EL-SEY/(SAY) Gram–mer (gRAM–RAM). who played the role of MAYor/(AIR) [T]om [K]ane (T=20 & K=11) and this is when the show started–>2011. Grammar ties right back to lANGuage and SPEECH/SPEAKing. The BULL rules the NECK and THROAT. 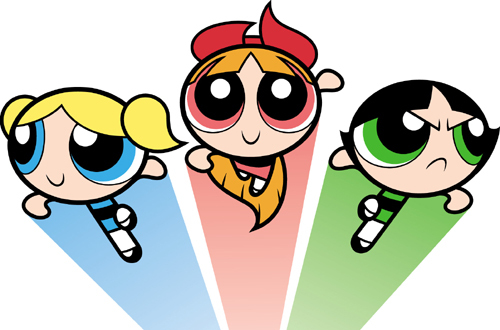 gRAM–MAR–>lANGuage–>SPEECH and SPEAKing all relate back to the BOSs. BOSs is a Bollywood movie that was released this year (2013). The Indian people revere the COW as sacred, thus most do not consume their flesh. Below is a trailer from the newly released MOO-vie. “Like a BOSs” is a song written and recorded by comedy hip-hop troupe, The Lonely Island starring Andy SamB(U)ERG(ER). In the video below, Samberg makes mention of many codes and themes tied to the sacred BULL. He buys a GUN=(42) which contains BULLets and goes bANG. He also chops his BALLS(BULLS) off and bombs the RU[E]ssians. Notice how a shot of the Saint BAS/(BES/BOS)il’s CATHedrAL/(EL) is shown. Right under the BOSs, we have the MANAGER who is 2nd in CHARGE. 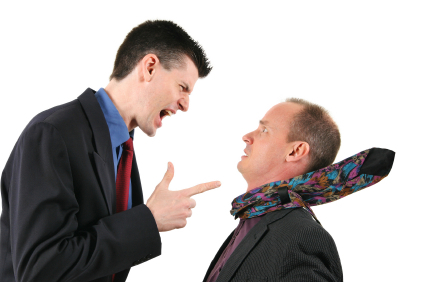 MANAGER contains a scRAM-BULLed ANG–>mAN[G]A[N]Ger. ANG stands for ANGus beef that comes from the sacred COW. The mAN[G]A[N]Ger works under the BOSs. VACcinAtion = VACA (COW) + cin–>SIN; tion–>ShIN. Many vaccinations derive from COWs (bovine). As we have learned from a previous blog post, ShIN/SIN is the Hebrew equivalent of the letter “S” and “SH.” SIN was also the Mesopotamian MOOn god. 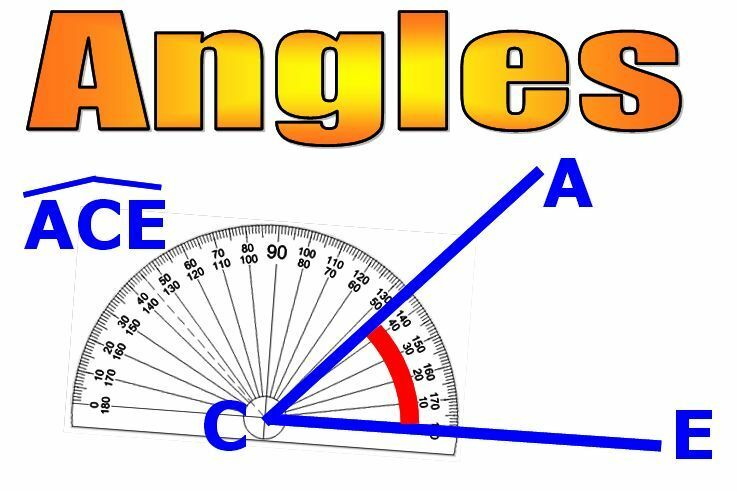 SIN is used in math (SINe & coSINe), just like ANGle(el)s are found geometry. In the Christian faith, one MAY commit a SIN which is the act of violating God’s will. A depiction of the MOOn god SIN, a.k.a. Nanna. ANG–LE/(EL)s are a part of GEO+ME+TREE. 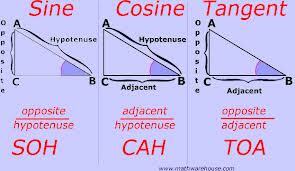 SINe and coSINe are a part of mathematics. 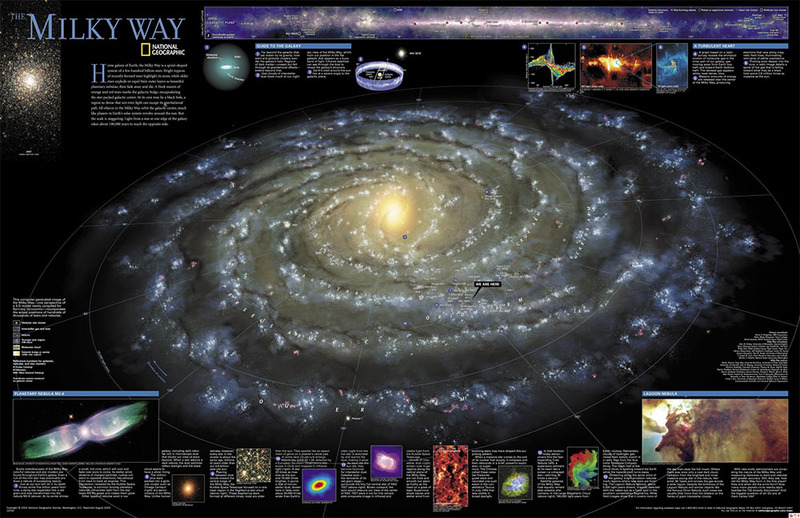 The MILKy Way is the galaxy that contains our solar system. The MILK chocolate candybar, “MILKy Way” was named after it. BOSco is the name of a BRAND of MILK chocolate syrup. MILK comes from COWs that are chocolate brown/black and white (MILK). The MILKy Way by MARS (RAMS) is made of MILK chocolate. 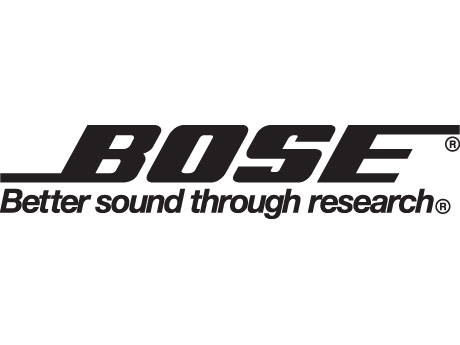 BOSe is a company that specializes in audio equipment. This makes sense, seeing that TAURus rules the EARS. 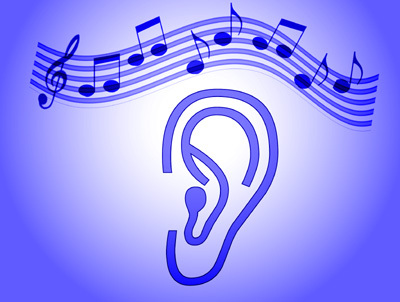 We listen to MU/(MOO)ic with our EARS. 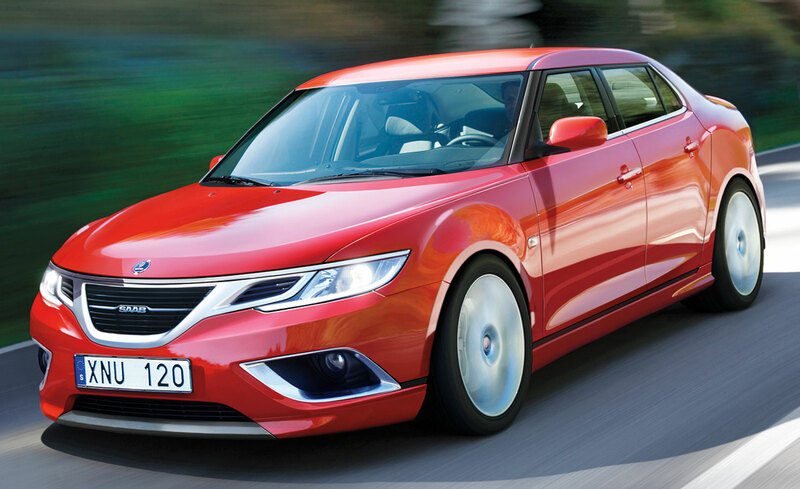 SAAB (BAAS/BOS backwards) is a Swedish automobile manufacT[A]URer. 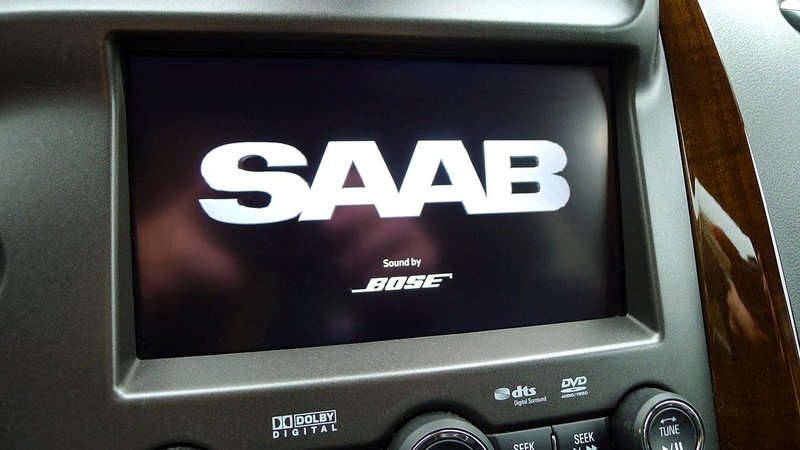 Some SAAB vehicles are equipped with BOSe stereos. TheBOSe is MU/(MOO)sic to our EARS. TAURus rules the EARS. TAURus rules the EARS that listen to MU/(MOO)sic. 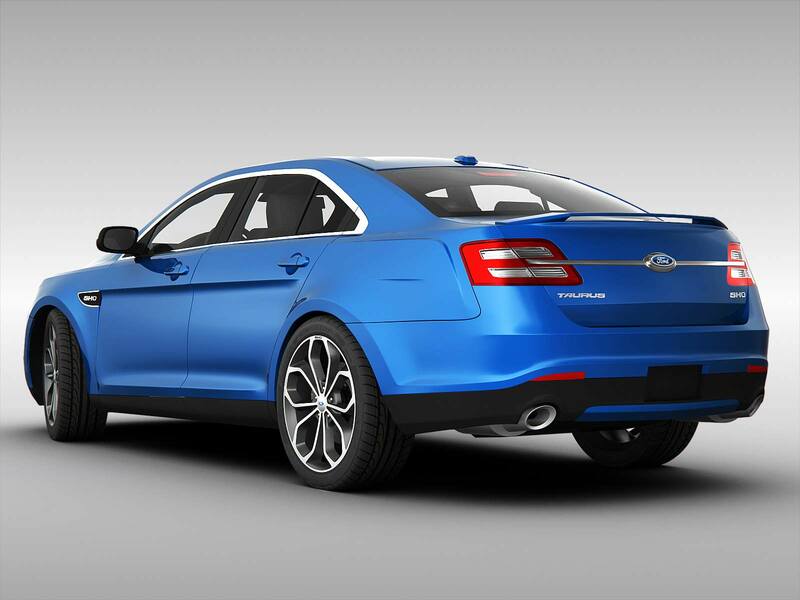 SAaB is a Swedish premium automobile manufacT[A]URer. We just learned that TAURus rules the NECK, THROAT, EARS and SPEECH. BLUE is the color that symBULLizes the throat chakra. BLUE is a scRAM-BULLed BULL. 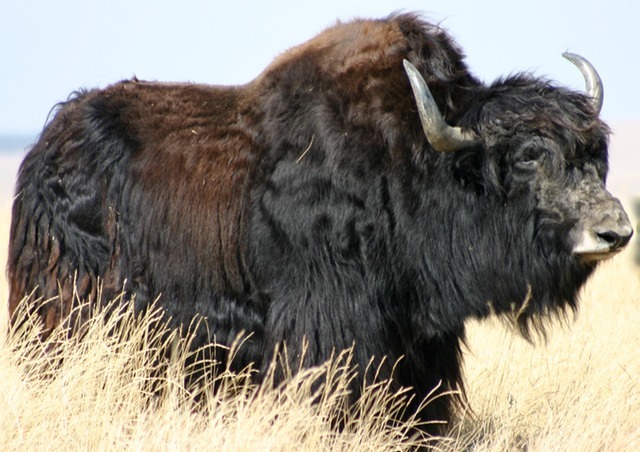 A YAK is a type of BOVID or BOS, similar to the COW and BULL. A talkative person is said to YAK. If we listen to a talkative person, we do not forget what we have HEaRD. Again, we listen to one who YAKs with our EARS. 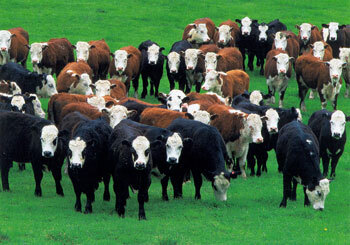 A HERD refers to a large group of hoofed animals, particularly CATTLE. A HERD of CATTLE can be HEaRD from far away. Enjoy the 1950’s classic “YAKety YAK” by the CoasT[AU]eRs below. 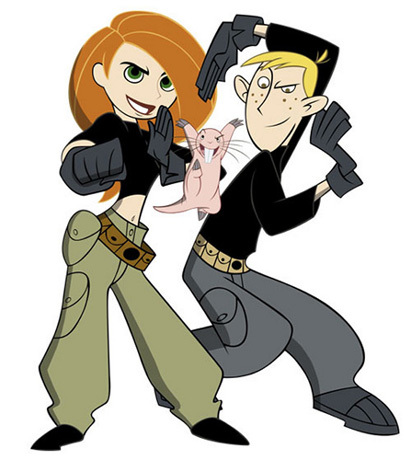 The word “Possible” is “b/BOSs-I-BULL.” We just fl(iP) the “p/P” to a “b/B.” Kim Possible was an animated children’s television series. The creaTOR/(TAUR)s claimed to have created the show in an ELevaTOR/(TAUR). 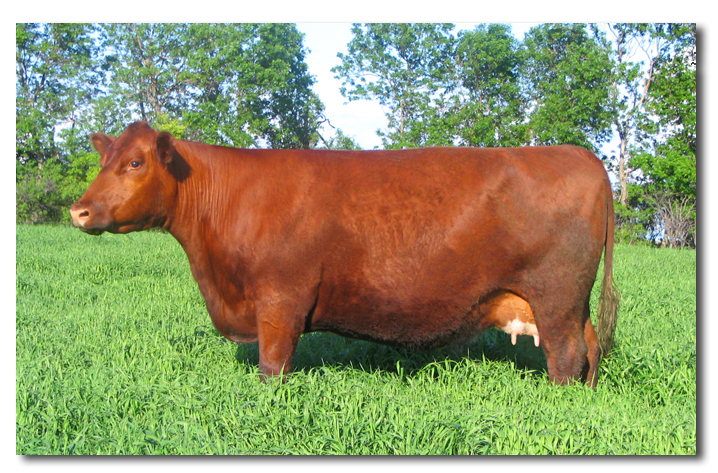 Kim had RED hair to emulate the RED heifer or RED COW. Kim’s best friend was Ron Stoppable (stop-a-BULL). The RED heifer, RED COW or RED BULL. K- IM–>P/BOSs-I-BULL and Ron Stop-a-BULL. Kim has RED hair like the RED heifer, RED COW, or RED BULL. This post has exposed how the COW and BULL show up everywhere…As above, so below. The # 7 = se7en. The number 7 = V and V = 22. So, if V = 22 and 7 IS<—($) 7, then 22/7<—(÷) = 3.14 or Pi. 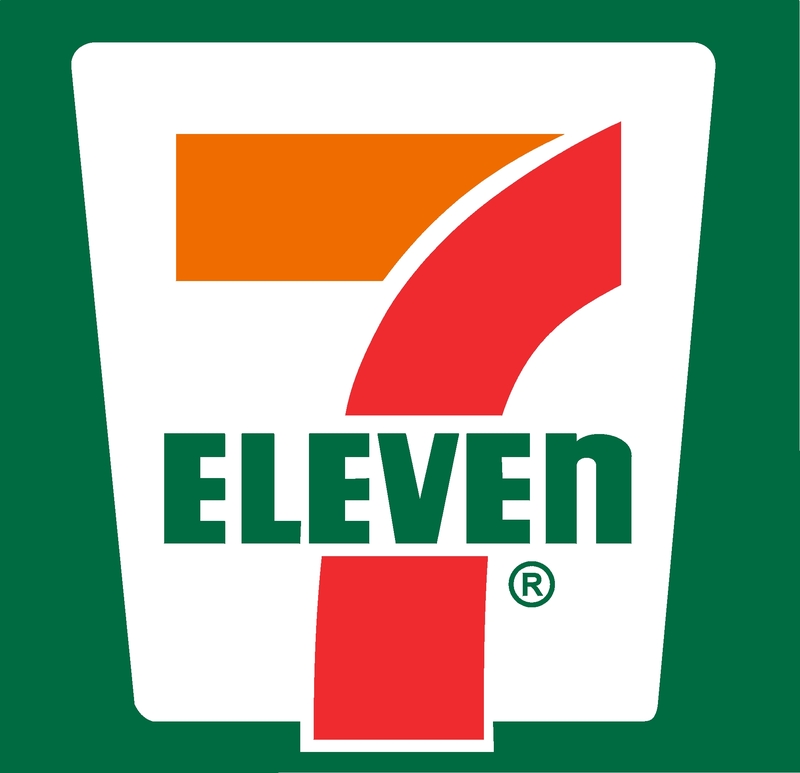 In the 7 Eleven logo, notice how the 7 is placed directly over the V or the EVE. EVE stands for EVE from Atom and EVE-olution. 7 = V = 22—> 22/11 = 2. The numbers 7 and 11 are ODD while the numbers 2 and 22 are [EL]EVEN. 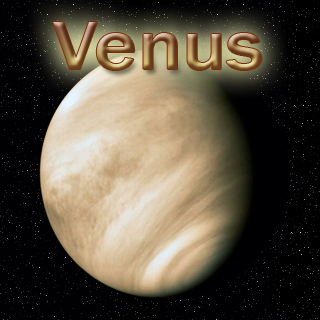 VENUS = SE7EN and rules the 7th sign, Libra. SEVEN is a scRAM-BULLed VENUS. Libra (the scales) is the 7th zodiac sign and it’s ruled by the planet VENUS. Libra rules the 7th house of partnerships. 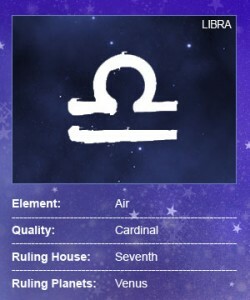 Libra is the 7th sign of the zodiac and it rules the 7th house of partnerships. Its ruler is VENUS=SE7EN. I bolded and underlined the 22 and 7 in the info above. 2 + 2 = 4 which is the number in between the 22 and the 7 (above). 247 also symbolizes 24 hours that are within the day and 7 days a week. 24 + 7 = 31/4/Pi. 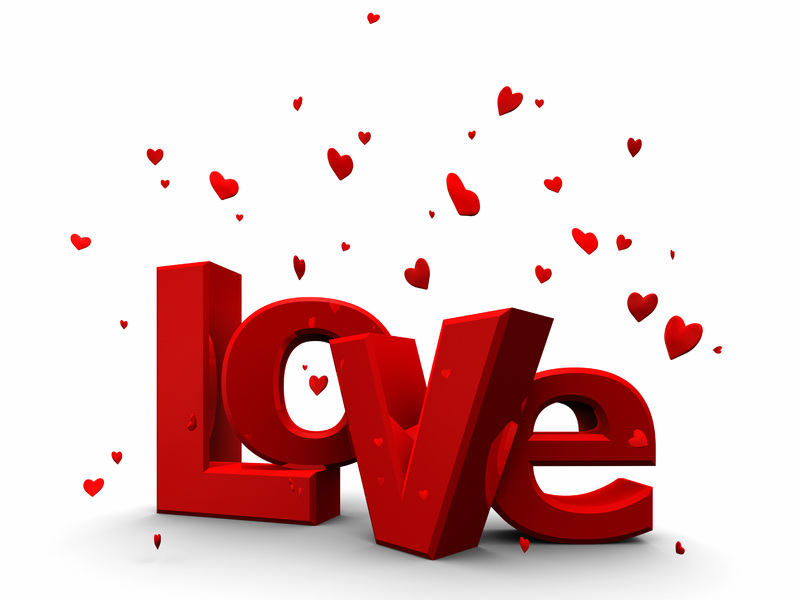 Venus embodies both LoVe and romance. L is also V when pushed to the left on its point. L is 7 and V is L or 7. 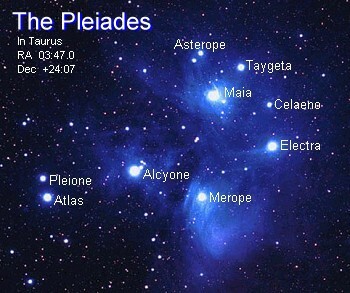 In the constellation TAURus, also (supposedly) ruled by Ve7us, are the Pleiades or the Se7en Sisters/SeaStars/SeasTAURs. 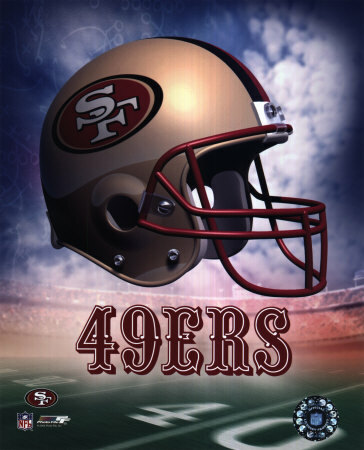 The [S]an [F]rancisco (S + F = 25/7) 49ers. 7 x 7 = 49. Colin Kaepernick of the SF 49ERS. 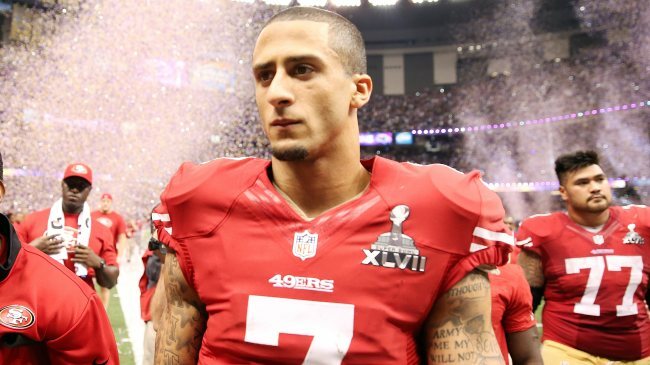 Colin Kaepernick of the SF 49ERS is number 7. In the above photo, he’s next to number 77, Mike Iupati. 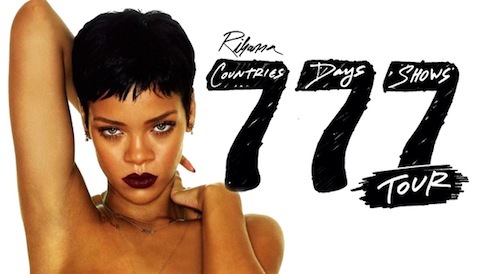 777 magic! He also sports the Roman numeral VII or 7 on his jersey. C + K = 3 + 11 =14 and 7 + 7 = 14. 4 + 9 = 13/(4/Pi) and comes before 14. Mike Iupati is number 77 of the SF 49ERS. Mike Iupati = MI which is 31/13. The M flipped on its side resemBULLs the number 3. The I from Iupati = 1. MI = 22 which brings us back to 7/11 or 22/7 which is 3.14 or Pi. In the photo above, Iupati stands so Pi.rfectly next to number 11. The symbol on the SF helmet also looks like the number 11. 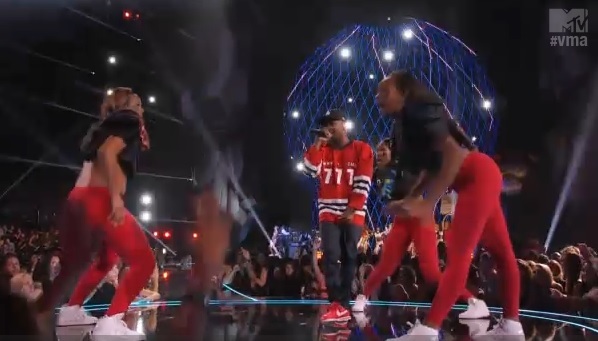 Kendrick Lamar sported the numbers 777 during the 2013 VMA’s. The Boeing 777 seats 314 (Pi) passengers! 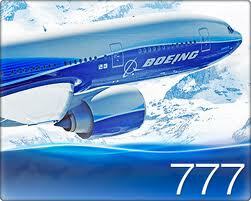 The Boeing 777 is the world’s largest twinjet and has a typical seating capacity for 314 to 451 passengers. 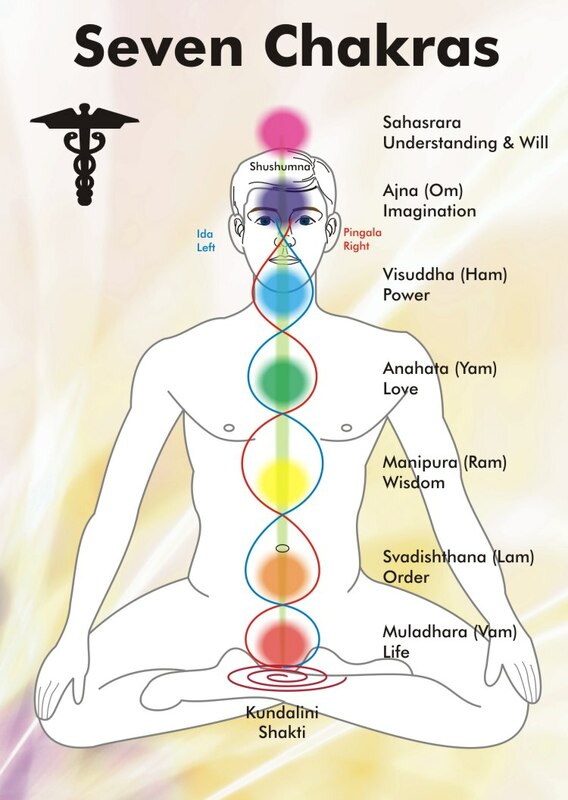 There are 7 main chakras that align the human body. The se7enth chakra is located at the crown. The color that symbolizes the crown is either violet/purple or white. 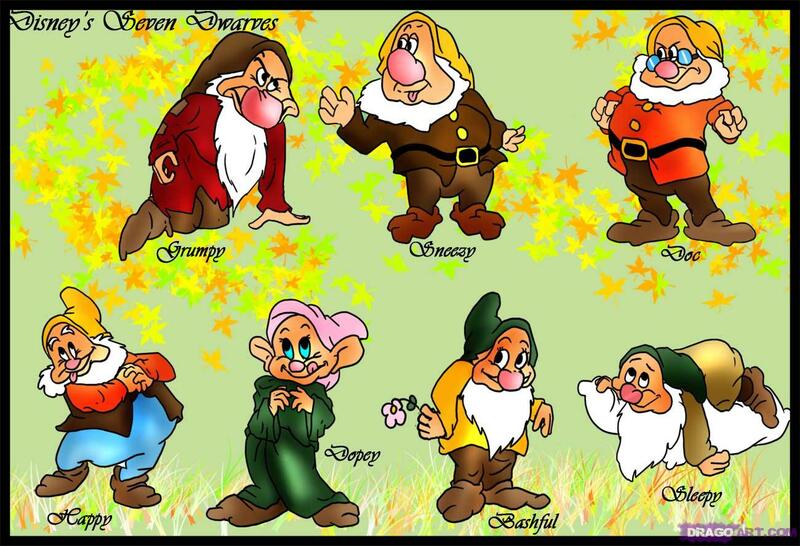 The 7 EL[E]VE[N]S<–(7-11’s) or Dwarves. . . 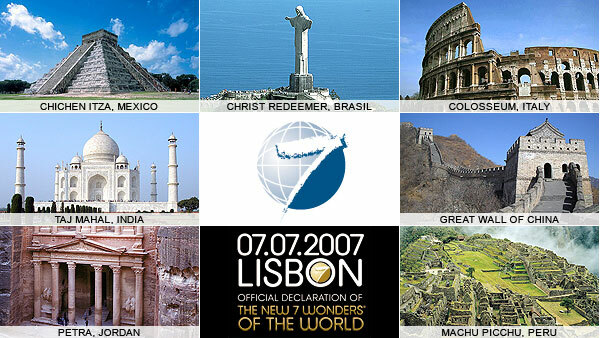 The 7 Wonders Of The World. The above was created on 7.7.7. If we go back to 7 Eleven and add them together (7 +11) we get the number 18. 1+8 = 9 and we are currently in the 9th month of the Gregorian calendar. 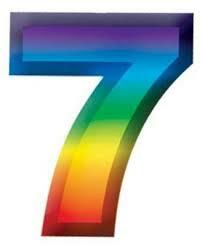 VII = 7 Roman numerically. VIrgo is the current astrological sign we are under now and it is represented by the VIrgin. 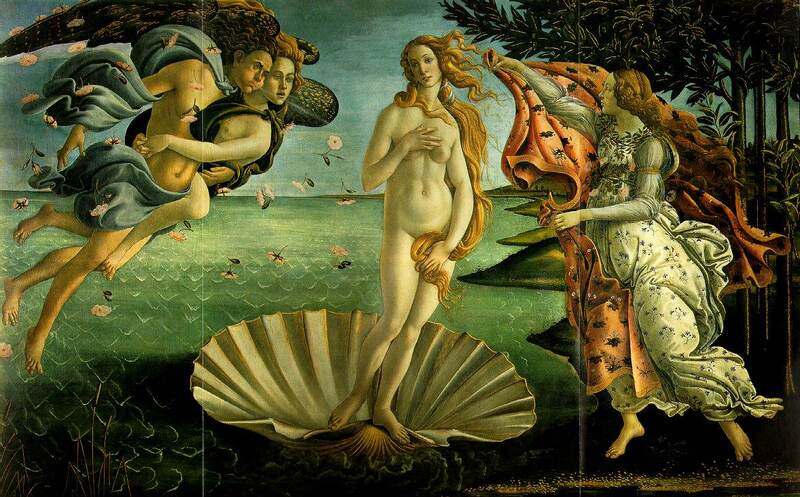 The VIrgin relates back to VENUS (SEVEN) and the famous Botticelli painting below. If we take the A or V from AVicii it looks like the number 7. The VI code is also in the name aVIcii. Avicii is a VIrgo. We can see the number 7 represents the letter V in Le7els and V=22–> 22/7 = 3.14. Today is 7/7. 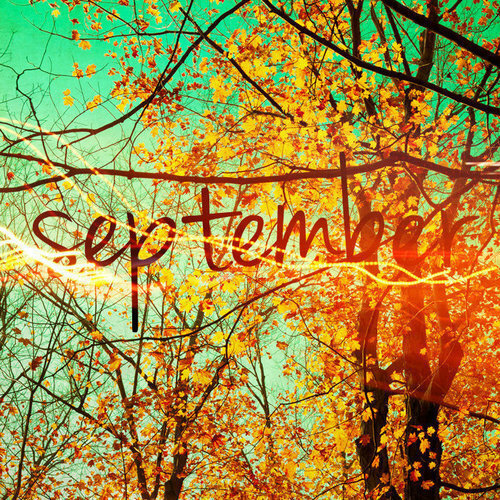 SEPT = 7 and SEPTember is actually the 7th month of the true calendar. During the FALL, (LAF backwards) we must LAUGH at how everything is ALL connected! The BASKETBALL represents the sun on the HORIZON = (HORUS RISING). Most words in the English language and many others stem from the Phoenicians or the ancient Egyptians. The word BASKETBALL is derived from ancient gods and goddesses as well as hieroglyphs. It stems back to the Egyptian era. BASTET + AKhET = BASKET –> Add BA‘AL = BASKETBALL or … BASTET + ASKET + BA‘AL = BASKETBALL. Rory googled the word AKHET which was the ancient, Egyptian season of the flooding of the Nile. It lasted from mid-July to mid-November. The designers of the language and our modern culture have, as usual flipped everything around. 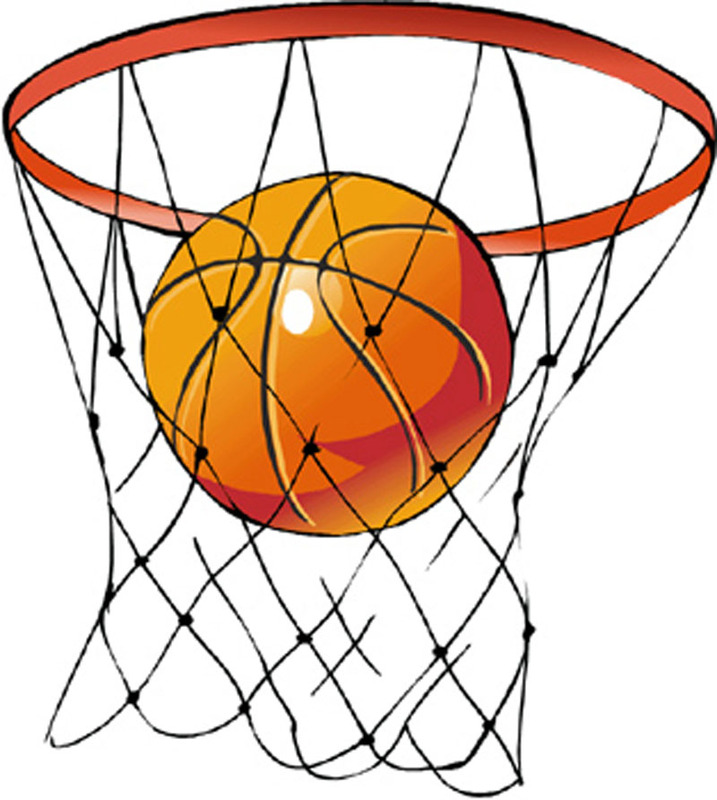 BASKETBALL season takes place from mid-November and ends in early SUMmER (SUMER) or the opposite of AKHET. Sumer was an ancient civilization in Meso(POT/PAN)amia during the BRONze Age. Keep BRONze in mind for later. The AKHET or the BASKETBALL going into the hoop. The AKHET = THE–AK or THE 111. Sports are inherently tied to the path of the sun. This past NBA (NBA = 17/Jupiter) finals ended the day before the summer solstice. A few days later, in the first couple of days of Cancer (a sign that is heavily associated with the moon), we experienced a supermoon. The name ASKET was a random download that came to Rory the other day. She then googled ASKET to find that this was a Pleiadian cosmonaut that Billy Meier had contact with. Asket is a scRAM-BULLed SKATE which ties into SKATEBOARding. 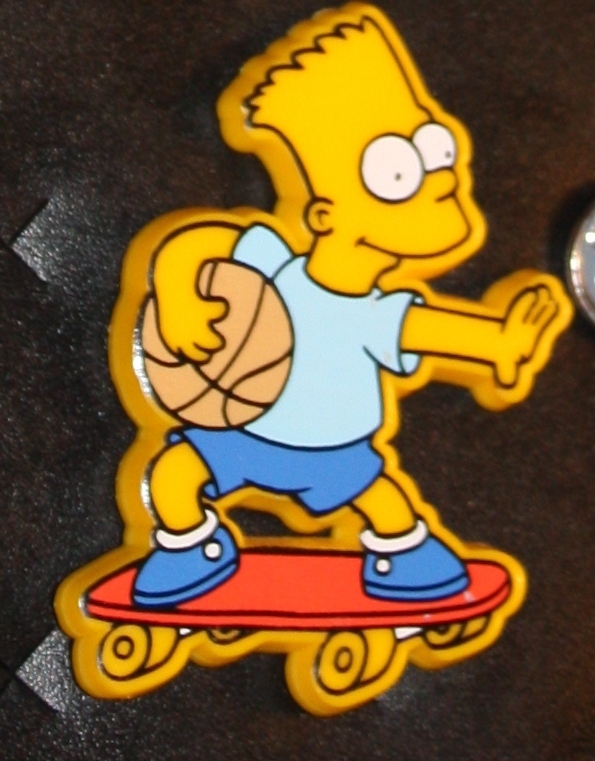 Skateboarding is a sport that channels the Saturnian energy because the BOAR represents the [Pi]g, Seth and (P)ignorance. Jim offers his break down of BASKETBALL here. The Heat were the vicTAURs of this year’s NBA finals. They were LEAD by their star player LeBron(Z)e James, #6. He is also known as “King JAMES.” Saturn is the 6th planet from our sun. JAMES = 48. He was born in 1984 which is a reversed 48. LeBron = Lead + Bronze. LeBron = EL BORN or The BORN God. Cheering on The HEAT invokes the HEAT on our planet. The HEAT are from Miami where it is always hot. People on the beach in Miami use BRONzer to achieve a GOLDen tan. 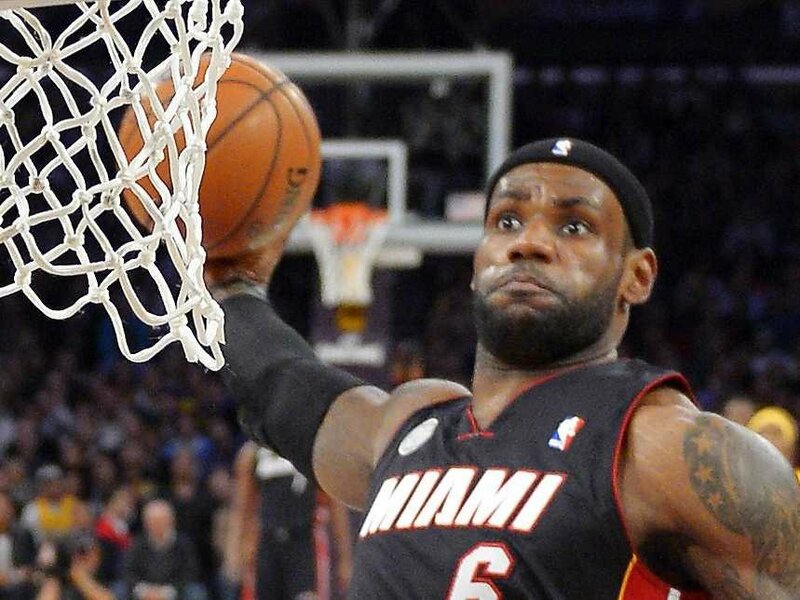 LeBron James has a dark skin tone. 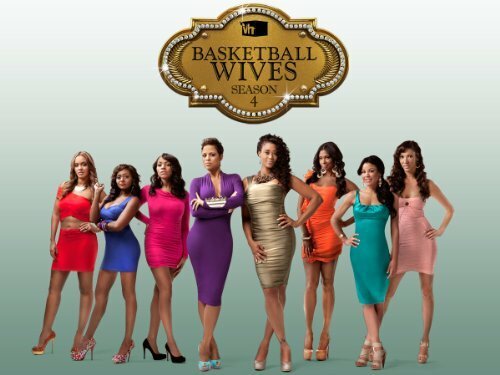 Basketball Wives is a show that premieres on VH1. VH1= 31/4 or Pi. 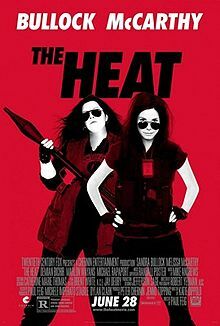 The HEAT is a MOOvie starring Sandra (SAND, DNA, RNA or S(AND)+RA) BULLock and it feaTAURes a red theme (Red Bull). The film was released just after The HEAT won the NBA finals. In conclusion, today’s modern BASKETBALL is a Pi.rfect sync back to ancient Egypt where The HEAT was always a constant. Here is a fitting song to end this post by Glenn FReY (FRY). It was recorded in 1984. The video is 3:14 Pi miNUTes long!